This campaign is a no-fee, foster-to-adopt program designed to help the shelter "wallflowers". We know they'll shine once at home! These kitties have been overlooked because they're a little older, shy, intimidated, overwhelmed, or just need medical care. We are certain that each has their own way of winning your heart! 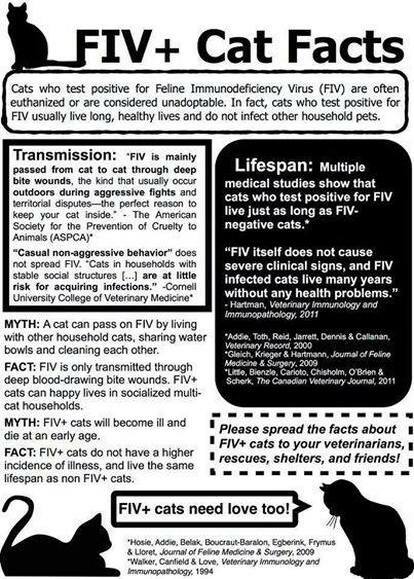 To adopt these beautiful cats you must have a reliable and consistent vet reference. Leah is 10 months old (as of 1/1/2019). She is very friendly and affectionate. Her owner gave her up because she sometimes peed just outside the box (not elsewhere in the house). She's actually been very hard to get a picture of because she is always moving and rubbing up against you! Please give this very playful kitty a new home. Lately, she has had the occasional incontinence but we are figuring out what's up with her. Topaz is 2 years old. She is currently in foster care and would do great in a quiet home. She is on a special urinary diet and medicine for anxiety (which is working!). She likes to play and be with her person. Chloe has always been an only cat and is looking for a quiet home with a cat savvy owner. She is 12 years old and was given up by a woman that could no longer care for her. She is independent at first, but quickly bonds with her person with love and patience. Benny (aka Smokey) is a thick-coated black kitty who is 10 years old. He initially came to us from a hoarding situation. He was adopted not too long ago but his new owner sadly passed away and he came back to us. Benny is a handsome chatterbox who loves a good head scratch. He would prefer a nice, quiet home. Jumper is 4 years old. Very playful and loves to cuddle. He is allergic to fleas (who isn't?) and scented cat litter. He really needs a good home without cats, dogs, or kids. Toby is an 8 year who was brought to the Vet after loosing his ability to walk. After three months of losing weight the formerly diabetic cat was walking and off insulin. He has regained the use of his legs and is quite the charming fellow. He would prefer to be in a quiet home with pets who are relaxed and respectful of him. He loves to play with his turbo scratcher along with toy mice. Snuggling has become his specialty as well. Toby is an all around easy going guy. 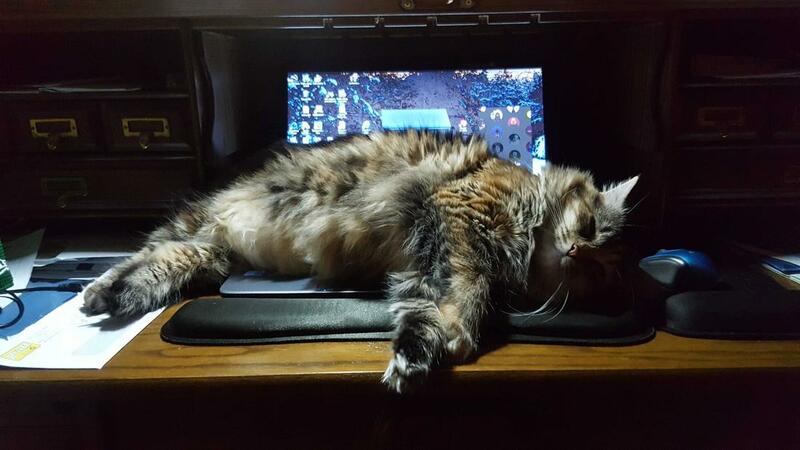 Bobbie is 2 year old bobtail. She had kittens and is ready to for a nice home. She will do best as the only cat and with older children. Charlie, 6 years old, has been hanging around the shelter for a couple of years but only recently started allowing us to come close to him. Sensing another cold winter ahead he obligingly decided it was time for us to house him! He is ready for adoption and uses a litter box but we suspect he may want out. Kitty is 5 years old. She was surrendered to us and she has always been an only cat. Prince has been juggled around but needs a steady place to call home. He is 15 years old and very friendly. Dexter is 7 years old. He was surrendered because his owners had no time for him. Lola is 6 years old. She is shy at first but is a lap cat. Solomon is 12 years old. He is hyperthyroid and takes medicine twice a day. He is a lap cat who likes to be with his person - he needs some good loving. Sweetie is 14 years young. She is independent and has a quiet meow. She likes to lay in the sun and she plays with a lazer toy. She will sit next to you and she loves her catnip! Spaz, aged 4, was surrendered to us due to a move. He is a good kitty. He tested positive for Feline Leukemia so he needs to be the only cat in the home (or live with other FeLV cats). The "ferocious" Olive at home, surfing the internet! It all began with me looking for the next kitty for our family. My last cat of 15 yrs passed away over the summer and I thought adopting a kitten for my boys would be a fun experience, but I wasn’t having any luck finding "The One!" So I was open to the possibility of rescuing an adult cat. I went on Petfinder.com, searched the site, and glanced at photos of available cats for Adoption. I scrolled through the pictures, and there she was, "The One!" I fell in love with Olive's unique colors and features. She looked to me like a cute friendly cat. I knew I just had to meet her. I made the call to the shelter and spoke to the director. They gave me a little history on the cat. They mentioned how Olive did not like being in the cage, showed aggression, and would hiss and swipe toward some of the volunteers. The director told me she had a good feeling that Olive would do great in a home setting. Olive was part of the "Take A Chance" program. No adoption Fees! If she didn't work out, the shelter would take her back. After driving a hour to meet Olive, I knew she was worth a chance and had good vibes she would be a perfect fit for our home. The volunteers had warned me that she may go into hiding at the house and might hiss at us. Give her a few weeks to get settled. Just be Patient! Once she's comfortable, she will come to you. Once I arrived home with Olive, I gave her about 20mins to look around from the carrier, to see that she's no longer in a shelter. I finally opened up the crate and Olive walked around the room for about 5-10mins. It was no sooner that she came right up to me, started rubbing her head up against me, tail wagging and rolling on the floor. She enjoyed the attention we were giving her. It's like Olive knew she was rescued. Olive is a sweet kitty. She's become a lap cat and loves to cuddle on the couch on these cold winter nights. Follows Mommy all around the house from room to room. Loves to play with the family! I'm so glad I took a chance on Miss Olive. It breaks my heart to know that she was in the shelter for 4 months. Maybe she just was waiting for me! I do believe everything happens for a reason. There is a cat out there for everyone! I encourage anyone thinking of fostering or adoption; please don't overlook the cats that might be shy, intimidated, and or overwhelmed. It just might be the best decision you make! You won't know until you try! 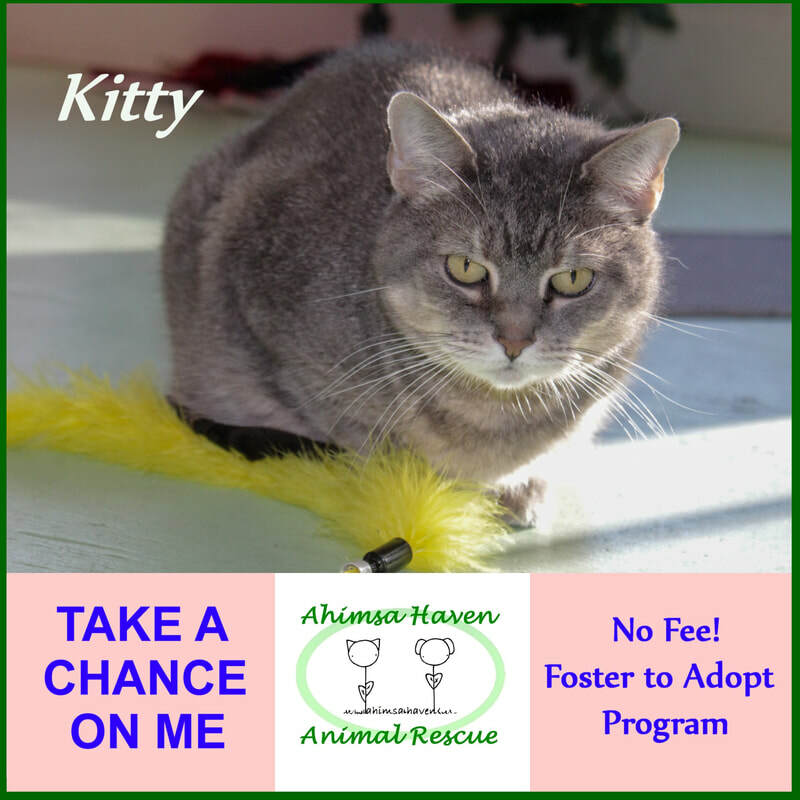 All the Cats in the “Take a chance” program deserve a second chance!